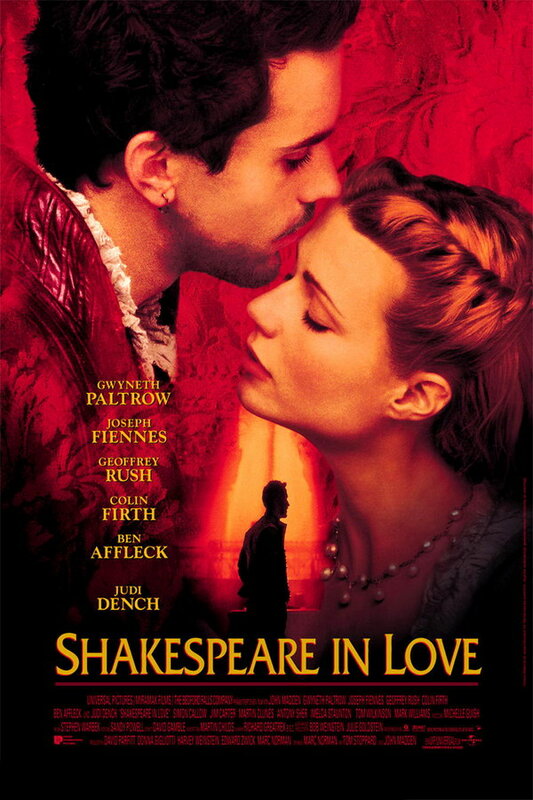 Shakespeare in Love font here refers to the font used in the poster of Shakespeare in Love, which is a 1998 British romantic comedy-drama movie that depicts the love affair of William Shakespeare when he was writing the play Romeo and Juliet. The movie title in the poster is probably set in Friz Quadrata SC. Friz Quadrata was originally designed with only a single weight by the Swiss designer Ernst Friz in 1978 but more weights were added by others. The font is a commercial one and you can view more details about it here. In addition to Shakespeare in Love, Friz Quadrata typeface is also used in the following logos, movie posters or album covers etc., including: Law & Order, Ben-Hur (film), Uprising, Anti Social Social Club, Black Flag, League of Legends, Tarzan, True North, Fujitsu, Opera Sauvage, American History X, Erdinger Logo, Pierce the Veil, DFDS Seaways, Taco del Mar.